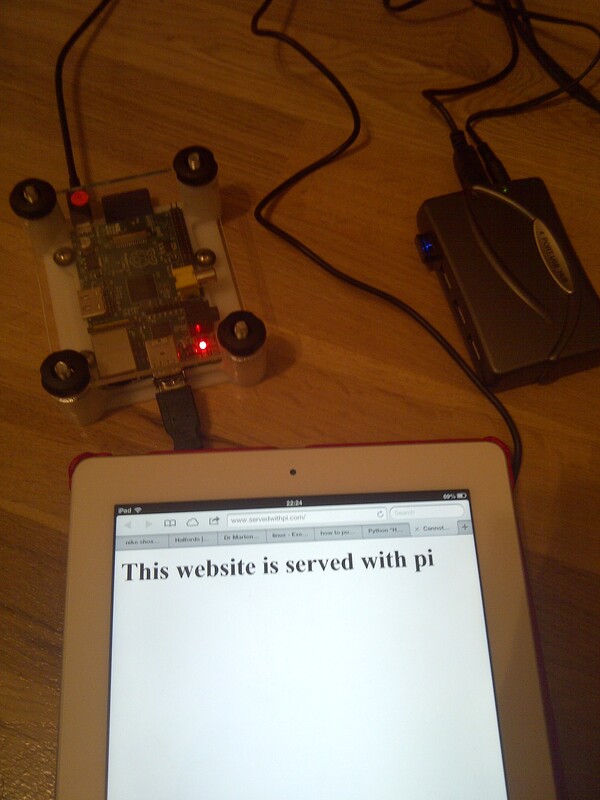 Here is a website “www.servedwithpi.com”, that’s hosted on a raspberry pi device. It’s running apache, and a simple one page (one line) website. I’ve fixed the raspberry pi with a static ip, then port-forwarded my router on port 80 to the internal ip. Then I registered a domain name, and pointed to my external ip. My external ip is dynamic, so I expect this domain will go down tomorrow, so, I intend to use namecheap’s dns api to keep the domain updated with my latest external ip. Is it possible for you post the python code you used for updating your IP? – Sorry, I had to remove the exact location of the aspx page, since if it’s requested by another ip it will affect the location of my website. – Perhaps a safety net of checking against the subnet mask of my ISP (TO-DO)…. Hi ! With your script, the ClientIp field must be changed every time my external ip changes or just put it once and the script makes all ? Thank you ! Is there a tutorial for this, only I have managed to install word press. But not sure where or how you run the Python script. Do you have to use name cheap, only I have registered my domain with UK2.net. If I had know I would have registered my domain name with Name Cheap??? ?